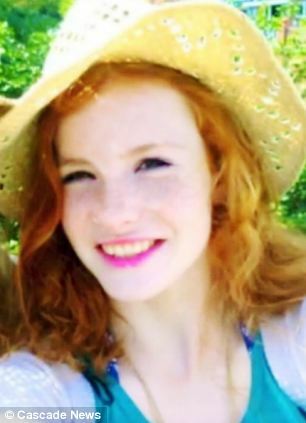 Beautiful red-haired girl and gifted cello player bullied into suicide for being ginger! This is one of the most tragic stories I have read in years. Half my British and Irish family have red hair, green eyes and freckles. I ‘suffer’ from a few of them myself. And I use the word ‘suffer’ because that’s how one is made to feel when they have what’s referred to as a carrot top and freckles in the West. That’s how my family were made to feel in the US. They were regularly teased by white Americans for being ‘ginger’ and TOO Anglo looking. So sorry some Brits still retain their ethnic phenotype. This poor lass, with more talent, decency and undeniably beuaty in one lock of her glorious red mane, than her gutless oppressors had in their entire filthy bodies, was belittled to the point she gave up hope and killed herself. This is the result of this anti-red haired sentiment our society espouses, and a media and education system that still permits the bullying of children unless it is based on race, body weight or religion. How far must we have fallen as a people and culture that we bully people because of the colour of their hair and skin tone! That we bully people when we are jealous of them-as these untermensch whites so obviously were. This is the sort of thing you’d expect from blacks. Sadly the vast majority of contemporary Western whites; infected with almost a century’s worth of Cultural Marxism, are as despicable as the rest of the filthy planet. How far do we need to fall before people start thinking straight again? How much longer will we allow the J-media infect our minds, and fill our wretched souls with venomous malice. We have been taught to be a truly callous and hateful people. From so many of my fellow westerners wishing ill on the poor, to believing that health and safety are NOT human rights, to this. Can you imagine this happening in 1930’s Germany? I hope the tags I’ve penned for this article gives an indication of what I think of Helena Farrell and why this truly vile tale falls in our WHITE DEGENERACY category. Bless her soul and may the little red headed angel rest in peace. For the good people that found this story that recognise why I’m angry, please keep fighting for our righteous cause. A sincerer thanks tot he European Knights Project for sharing this story. Please subscribe to their noble word at the top of this page. 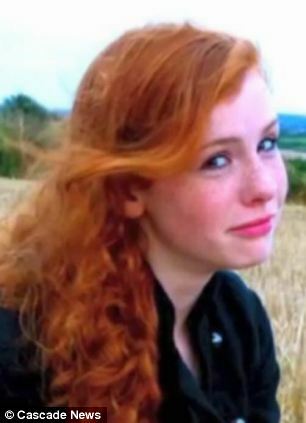 The father of a girl found dead after being bullied over her red hair has called for ginger jokes to be made a hate crime. 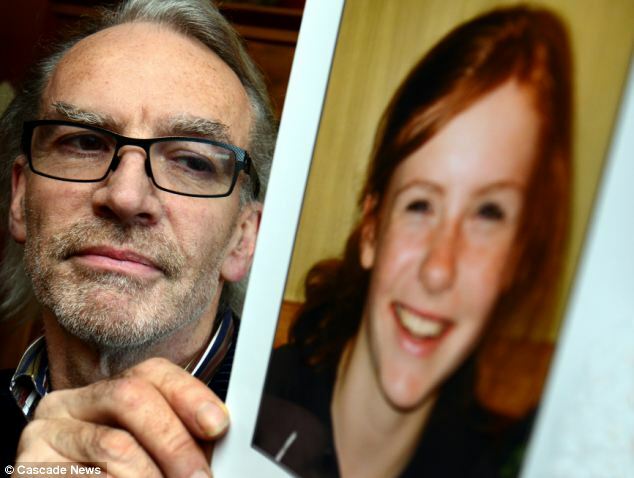 Enda Farrell, 56, said he believed his daughter Helena, 15, might still be alive had she not been picked on because of her hair colour. 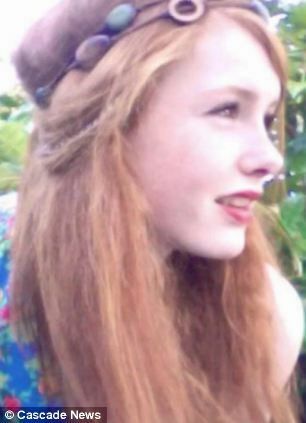 The teenager was found dead in woodland half a mile away from her home in Kendal, Cumbria, in January. The cause of her death has not yet been officially established, but yesterday her father said he believes Helena killed herself. 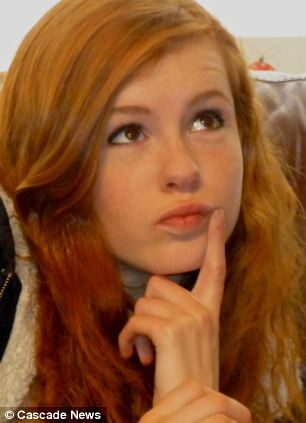 Mr Farrell, a former town councillor, said she had been tormented all her life by bullies’ taunts about her ginger hair. He called for a change in the law to make it illegal to discriminate against people because of their hair colour. ‘People need to realise that when they say the things they do, it can have deeply traumatising effects and can lead to self-harm and suicide,’ he said. The teenager, who was a gifted cellist and singer, had been out with friends just hours before she died and was said to be ‘very happy’ when she said goodbye to them. But at about 10pm her body was found in dense woodland close to the grounds of the town’s Castle Green Hotel. Cumbria Police said they were not treating the death as suspicious. At the time, Mr Farrell said his family had tried desperately to help Helena ‘overcome her dark thoughts that began to cloud over her shining personality’. Mr Farrell, his wife Maria and their 15-year-old son Declan said their lives had been ‘ripped apart’ by her death. She went to the comprehensive Kirkbie Kendal School as well as studying at the Royal Northern College of Music in Manchester, and dreamed of becoming a professional musician. Helena had already achieved a distinction in a grade seven cello exam and a merit in a grade six singing exam. She also played the lead role of Scaramouche in her school’s musical We Will Rock You. 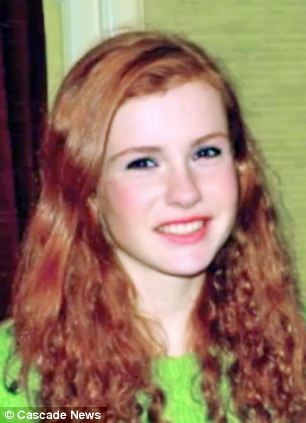 Her father spoke out after last week’s unofficial ‘Kick a Ginger Day’ – thought to have stemmed from American cartoon South Park – which reportedly led to attacks on redheads across the country. Mr Farrell said he had heard this caused one local boy to skip school and to leave early the next day. In April, Greater Manchester Police recognised ‘alternative sub-cultures’ as a motivation for hate crime. It followed the death of Sophie Lancaster, 20, who was attacked for being a ‘goth’. Mr Farrell said he believes police forces should also recognise victimisation based on hair colour. He is supported by local MP Tim Farron, who this week tabled a written question to Home Secretary Theresa May on the subject. He demanded to know what plans she had to ensure action was taken against those who persecute others on the basis of hair colour. Condemnation of such bullying follows the death of Simon Walters, 14, from Wolverhampton, who reportedly took his life after being bullied about his ginger hair. Mr Farron added: ‘Kids can be really quite cruel but it shouldn’t be tolerated. Bullying is described by the UK government as behaviour that is ‘intended to hurt someone either physically or emotionally’. It can include physical assaults, teasing, making threats, name-calling or cyberbullying, which is bullying via mobile phone or online. Anybody suffering at the hands or a bully, or bullies, should immediately tell a parent, teacher or someone they trust. The police can also be contacted on non-emergency number 101, or 999 in an emergency, if the bullying involves a crime. There are also several anti-bullying charities that can help, including the Anti-Bullying Alliance, BeatBullying, Bullying UK, ChildLine, Kidscape and the NSPCC. Luke Roberts, national co-ordinator for the Anti-Bullying Alliance, said attacks on ginger people should be dealt with in the same way as any other prejudice. Windermere councillor Ben Berry, who also has red hair, said: ‘People laugh at me when I say it’s almost as if ginger-haired people are our own race. ‘But it’s like that – we’re beaten and made fun of just the same as someone is by a racist because they’re black. For confidential support on suicide matters call the Samaritans on 08457 90 90 90 or visit a local Samaritans branch or click here.